The recent recreational legalization of marijuana has not only opened an entirely new industry here in Nevada, but it has also created many new employment opportunities. Today, many individuals are looking to find new employment in Nevada’s growing marijuana industry. However, before anyone can obtain marijuana related employment, he or she must be issued a marijuana agent card. For some, obtaining an agent card is relatively easy. But for others, there is a bigger hurdle – a long forgotten arrest or years ago criminal conviction is resulting in many agent card applications being denied. However, under a recent change in Nevada law, many individuals who have been denied an agent card may be eligible to have their criminal records sealed. Having your criminal record sealed can make all the difference. Under Nevada law, once a criminal record is sealed, all proceedings recounted in the records are deemed to never have occurred. For many people, this record sealing means that their once denied application can be approved. Recently, the process for sealing records has become easier following a recent change in Nevada law. Under the newly revised laws, the time required to seal one’s record has been significantly shortened. Class A felonies can now be sealed in a little as ten (10) years. Many Class B, C, and D felonies can be sealed in just five (5) years, and many misdemeanors can now be eligible for sealing in as little as twelve (12) or twenty-four (24) months, depending on the charges. Although some crimes can never be sealed, and other offenses may have specific waiting periods, the trend under the new law is to allow records to be sealed in significantly less time than before. Don’t let your arrest or prior conviction limit your career options. 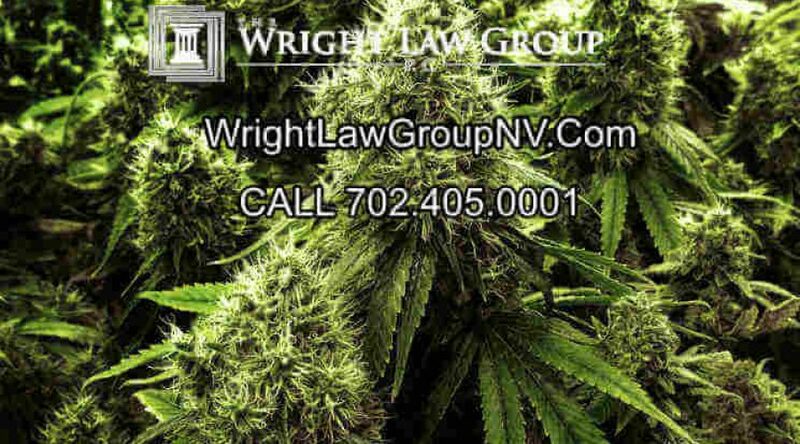 The attorneys at The Wright Law Group, P.C. can help you review your criminal history, determine your eligibility, and assist you in sealing your record if eligible. Our attorneys can also help you with completing an agent card application. If you want more information about obtaining a marijuana agent card, feel free to download a copy of the agent card application by clicking here. If you need more information about a record sealing, please call us at 702-405-0001to schedule a consultation. Our consultations are always free and confidential.